Cabramurra is the highest permanently inhabited town in Australia, located in the Kosciuszko National Park. It was constructed as a base for the Snowy Mountains Hydro-Electric Authority and is the closest fuel stop for Selwyn Snowfields. 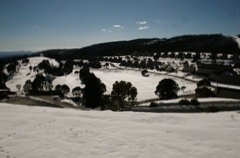 The town's 150 or so residents are made up of Snowy Hydro employees and essential service staff only. Due to the town's location, the buildings are constructed to withstand extreme environmental factors. 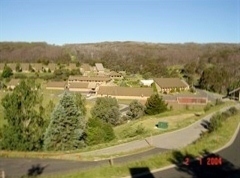 - (Ref-http://au.totaltravel.yahoo.com/destinations/destination/australia/nsw/snowymountainsarea/cooma/cabramurra/). 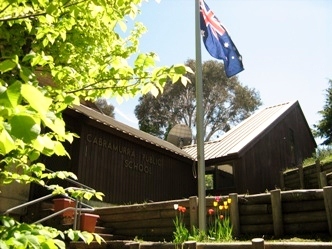 Link to Cabramarra School history.